After his years in London, Joseph Haydn embarked on writing a large-scale religious work. For this very devout composer, this veritable act of faith would torment him for two years and from it would come an oratorio of penetrating intensity. After enjoying immediate success in Vienna, Die Sch�pfung (The Creation) conquered the whole of Europe in less than a year. 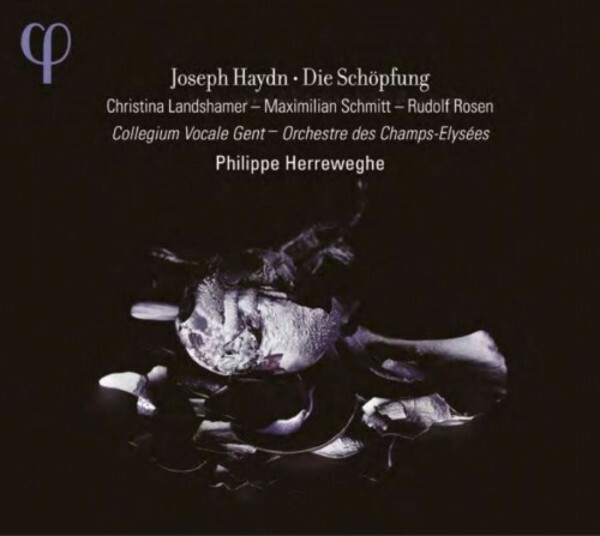 With this work, a few months after the release of Die Jahreszeiten (The Seasons), Philippe Herreweghe continues the exploration of Haydn�s vocal works, accompanied by soloists Christina Landshamer, Maximilian Schmitt and Rudolf Rosen. Thanks to the complicity of two of his favourite ensembles � the Collegium Vocale Gent and the Orchestre des Champs-�lys�es � and the extraordinary palette of colours and timbres that he succeeds in inspiring once again, he transports us with refinement and intelligence into the Viennese master�s inner universe.